We’ve had several readers ask about problems with the Vudu app for Roku 4 not streaming consistently. In fact, we experienced the same problem when trying to test HDX and UHD formats from the service. The Vudu app wasn’t able to get enough bandwidth to continue streaming in 4k, 1080p, 720p, or even SD. As a result, every few seconds the app would ask to downgrade the streaming quality, but even the lowest quality stream was unable to maintain consistency. Before blaming the app or media player, however, it’s always best to check internet speed first. We used two different bandwidth profilers that both showed internet speed of 50Mbps — that’s plenty of bandwidth to stream HD or 4k movies. We also disconnected and restarted the modem and router. Then, to narrow down the possibilities we tried the native Vudu app for Samsung Smart TVs. The app ran without a hitch. That told us the problem was with either the Vudu app or the media player itself. But since the app had been working with no problem before, all fingers pointed to the Roku. The Roku 4 has 1.5GB of RAM and 256MB channel storage (expandable via SD card), but even with the decent amount of RAM may need to have the memory cleared occasionally. You can do this by turning off and unplugging the Roku 4, waiting a few minutes, then restarting. That fixed the streaming problem immediately. Vudu ran smoothly and no longer timed-out with requests to reduce the video quality. 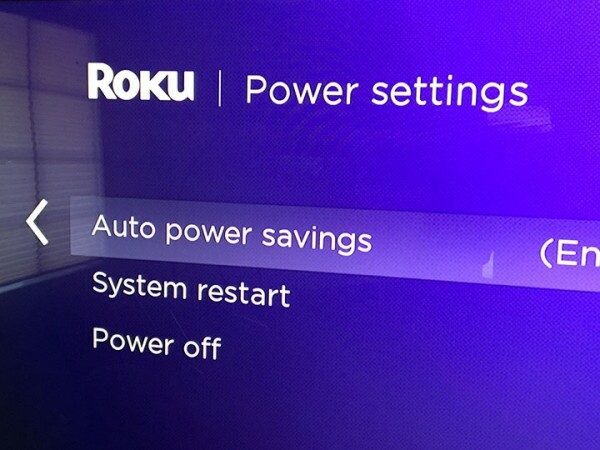 To shut down the Roku 4 or adjust power settings go to “Settings” > “System” > “Power“ and choose to do a System Restart, Power Off, or automatically shut down the device after 30 minutes of use. The device does not have a physical on/off button. 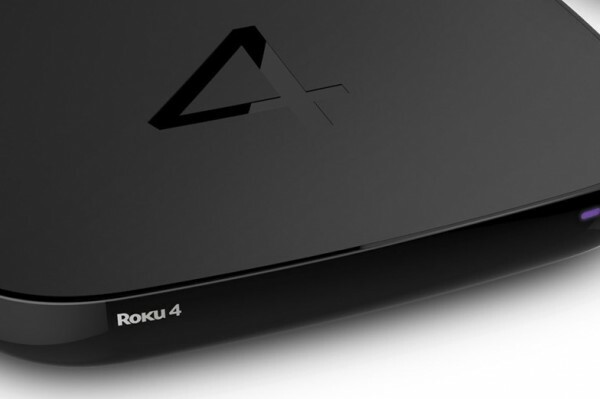 The Roku 4 is also notorious for running a bit hot, especially after its initial release. But firmware updates seemed to help the device from running so much while not in use. Nevertheless, it’s a good idea to shut the Roku 4 down once in a while to clear the memory and let it cool off a bit. And, there is setting named “System Temperature” that allows you to set your Roku 4 to “Run Cooler” (by using the system’s fan more frequently). Shutting down, restarting, and unplugging is a good idea for many other electronic devices such as computers, gaming consoles, tablets, and phones, as software can be often be affecting performance and needs a “soft” or “hard” reset.